Today is Lunar New Year, aka Chinese New Year. Unfortunately, the parade in Chinatown isn’t until next Sunday, so it wasn’t exactly a day of fireworks and red lanterns for us. Astrology is an interesting subject. It’s no more or less real than any other religious practice, where some devote followers swear by its precepts. As someone who is leaning pan-religious, I think there are interesting truths to be taken from astrology. In fact, I think astrology has more scientific basis than most traditional religions. If you look at the zodiac, for example, people born under a particular star sign all have similar characteristics. I’m not sure I buy this notion, but if you think about conception, certainly (until recently) people were all eating a similar diet and existing under similar conditions (northern and southern hemispheres being the only exception to this). Thus, a woman who conceived in September (to deliver her baby under a Gemini cosmos) would arguably have been exposed to the exact same food and stimuli (weather, etc.) that any other woman who had conceived in September would face. Whether or not you subscribe to astrology, there are always going to be truths in it if you wish to see them. So when I see year of the Snake, I get a bit nervous. Particularly when she (yes, the Chinese zodiac has male and female characteristics, among others, in its 60-year cycle) is a water snake. Both my son and I (being born 36 years apart) are horses, but I’m a fire horse (news flash: fire doesn’t thrive in water!). What this means for me is a less-than-auspicious year. No one is predicted to do particularly well in the year of the snake, but horses (particularly fire horses) are at particular peril if we go running out amok without thinking things through (as is our wont). So, this year portends promiscuity (ya think?) and illusion (that could extend to delusion). It’s a year for planning, especially for us horses, who will come into our own sign in 12-months’ time. What I take from this is to limit risk and plan for better things to come. 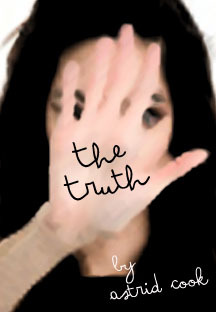 Maybe write another novel while continuing to pitch The Truth to agents and competitions. In other words, lurk and take the slow-but-steady path through 2013. Be receptive and cautious. It’s not my nature, but I’ll do my best. 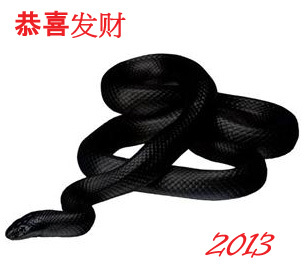 Tags: 365 Holidays, Lunar New Year, postaday, Year of the Snake. Bookmark the permalink.